I know I’ve been gone a while but hey now I’m back! First post after 5 weeks is this Fresh From the Oven Challenge that I hosted. I am going to do a post about going AWOL so watch out for that coming up in the next few days, but here to whet you appetite for upcoming posts is some delicious bread I can highly recommend. Although I’ve made this loaf a lot of the past few months either white or a 50:50 white-wholemeal mix I still thought I’d do one especially for the challenge. Unfortunately the day I was baking it I was in the the final stages of web project and wasn’t really concentrating properly. It was also quite a cool day so the 2nd rise seemed to be taking for ever so I put it in the oven regardless (it was no where near the top of the tin!) . I got okay oven spring but in the first 10 minutes of cooking I lost track of time as the client called to sign off the website ready for go live and to say how pleased they were. Result a rather dense chewy loaf, with a very crusty crust and a borderline burnt top. Still tasted better than anything you get in most bakers…. 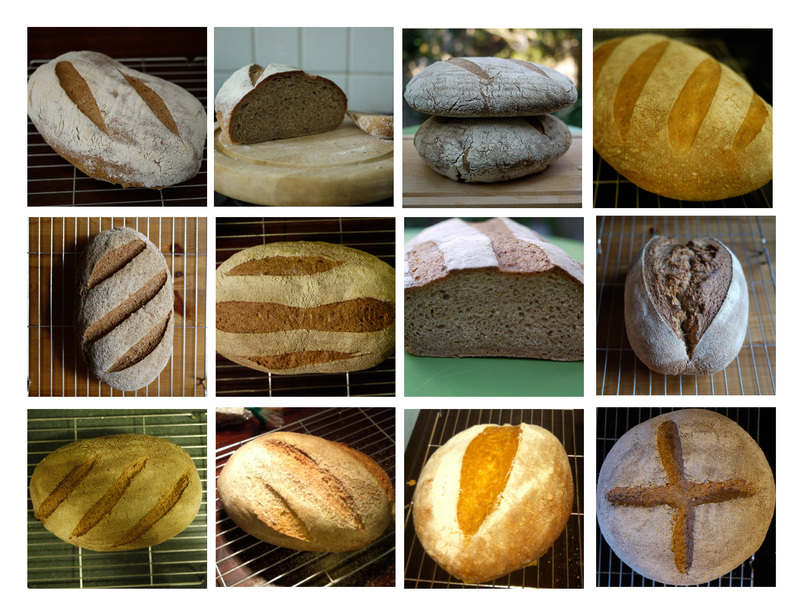 I’ve done lots of um-ing and ah-ing about what to pick for the challenge, I wanted something where I could show you the kneading technique I learnt from the Dan Lepard course I went on, something that seemed specifically English and something not so time consuming that you all decided not to participate. Crumpets and pikelets were out on the basis they don’t require kneading, sourdough on the basis that you might not all have starter so that would be a week of building one. Stotties were almost in but the recipe I found had potato in and that’s not how I remember them. Staffordshire oatcakes popped up but they don’t have to be kneaded either and so on and so forth. At last I decided to keep it simple but still English. 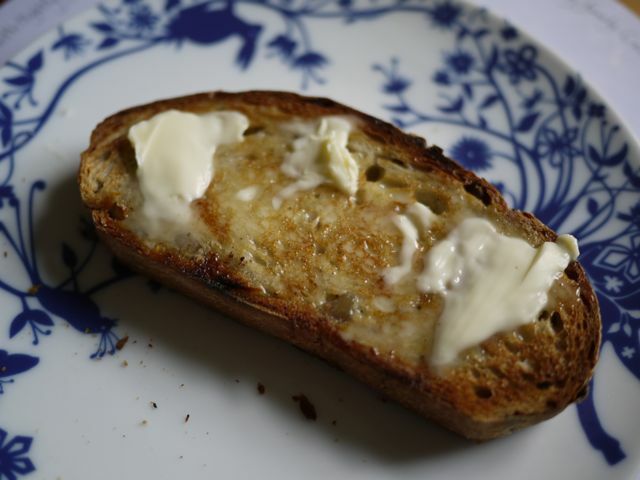 There is lots of talk of how bad English bread is (and it is when its made on an industrial scale using the Chorleywood process) but then everyone decides to ignore all thought of English bread and fall into the arms of French and Italian and other baking heritages. 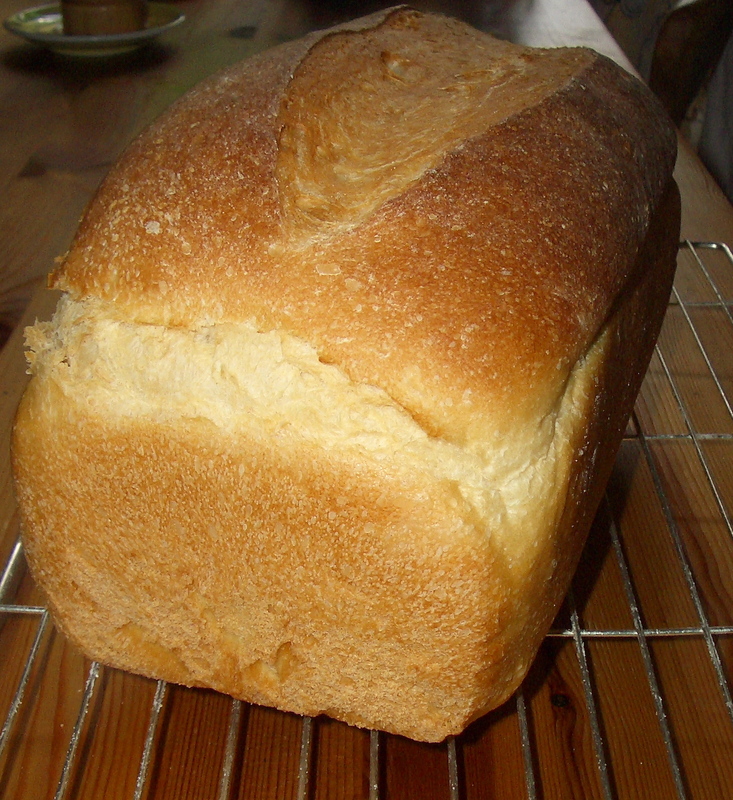 I love all these other breads but I also love a good old fashioned properly made tin loaf that is soft but slightly chewy, has a nice medium crust, that toasts brilliantly and makes a mean sandwich. The secret of course is in using milk for part of the liquid this gives a softness that’s just right without making the loaf a full on slightly sweet milk loaf (although when I found this on the Lakeland site I did nearly decide to do milk loaf). 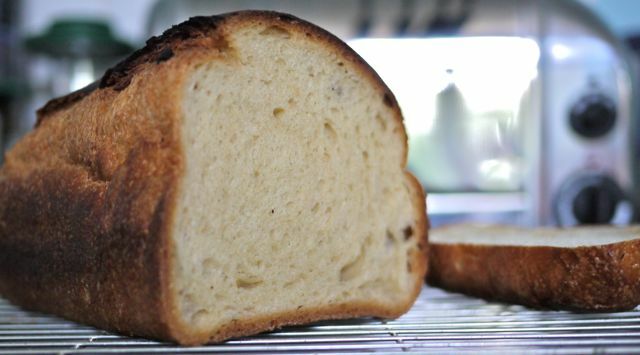 If you don’t fancy doing a tin loaf then perhaps you can take part by using the kneading technique for your favourite loaf because it seems to work for everything from sourdough to rolls to pizza base and more. Dan Lepard says he developed this when he was working full time in commercial kitchens (that made artisan hand kneaded bread) because there wasn’t time for full 10 minute knead of all the different bread batches so he switched to short kneads spaced out and found it works just as well, part of the development of a good gluten structure is dependent on the time elapsed not the vigorous kneading. 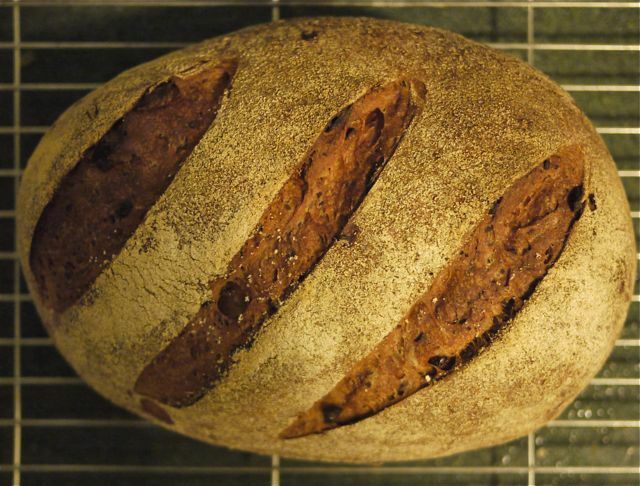 I liked the idea because I’d not been getting good textures with either a machine or a normal hand knead. I am now a wholesale convert. Leave covered to rise until at least 50% larger but not more than double in size (kneading once per hour if it takes more than hour to increase in size).